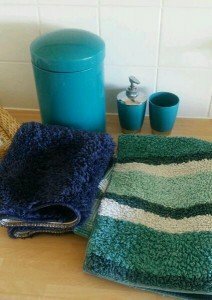 A small collection of blue bathroom accessories, to include a rubbish bin, a soap dispenser, a toothbrush holder, rugs etc. 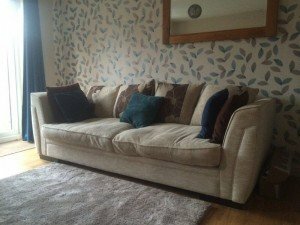 A large two seater modern sofa upholstered in cream cotton, on four square shaped chrome feet. 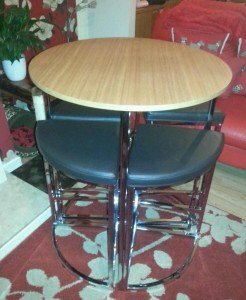 A large circular chrome breakfast table with a solid wood table top, together with four matching breakfast stools with black faux leather upholstery. 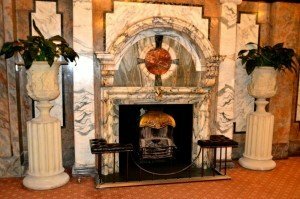 A large pair of polychrome decorative fireplace end urn shaped plant pots, in the rococo style. 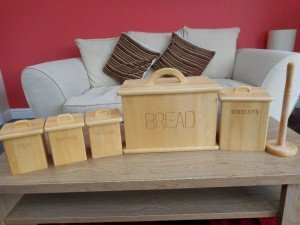 A collection of solid wood kitchen accessories, to include tea, coffee and sugar canisters, a bread bin, a biscuit barrel and a kitchen roll holder. 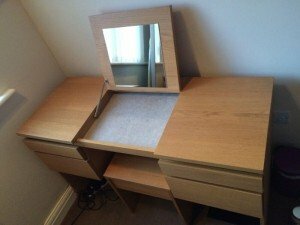 A solid wood four drawer dressing table with lift up mirror, together with matching square stool. 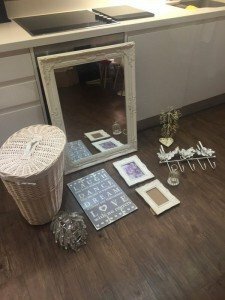 A small collection of shabby chic home decor accessories, to include a laundry basket, a large ornate mirror, photo frames, wall art etc. 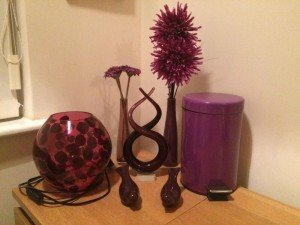 A small collection of purple living room accessories, to include a small rubbish bin, three vases, faux flowers etc. 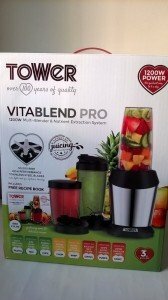 A brand new in the box Tower Vita blend pro multi juicer, stainless steel and black. 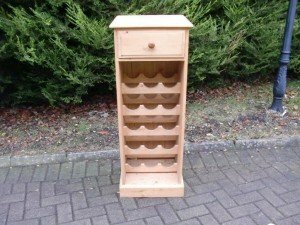 A tall standing solid pine kitchen unit and wine rack with a storage drawers, holds fifteen wine bottles. 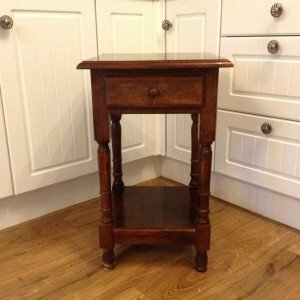 A solid wood small bedside table unit with one drawer and under shelving. A 1950’s vintage retro hand painted blue and cream kitchen storage dresser, with four inner shelves. 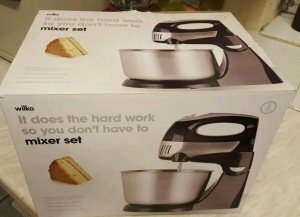 A brand new in the box Wilkinson’s stainless steel and black mixer set. 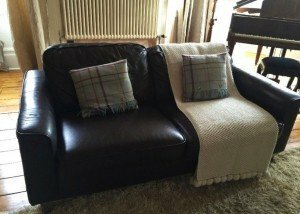 A small two seater sofa upholstered in black faux leather, a large cream sofa throw and two tartan sofa cushions. 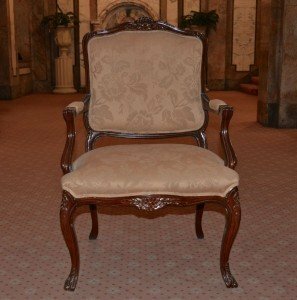 A Louis XV carved Florentine mahogany salon armchair, upholstered in floral caramel damask fabric. 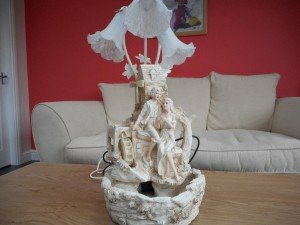 A large ornamental polychrome table lamp with a water fountain feature, depicting a man and woman. 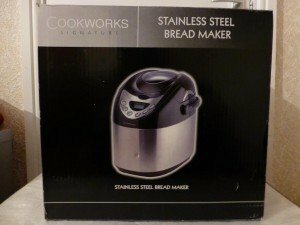 A brand new boxed Cookworks Signature stainless steel and black bread maker. 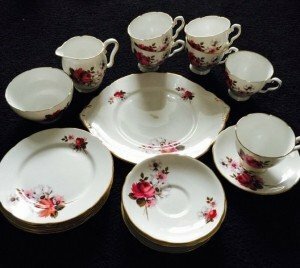 A small royal Staffordshire tea service, to include a platter dish, tea cups, a milk jug, bowls and plates. 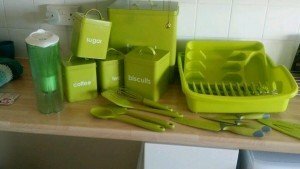 A collection of lime green kitchen accessories, to include tea, coffee and sugar canisters, cutlery, a bread bin etc. 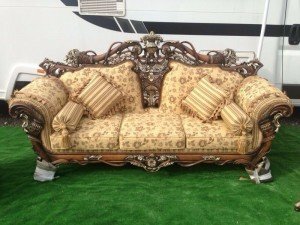 An Italian rococo style three seater vintage sofa, heavily carved with cast iron detailing, upholstered in floral fabric with four sofa throw cushions.